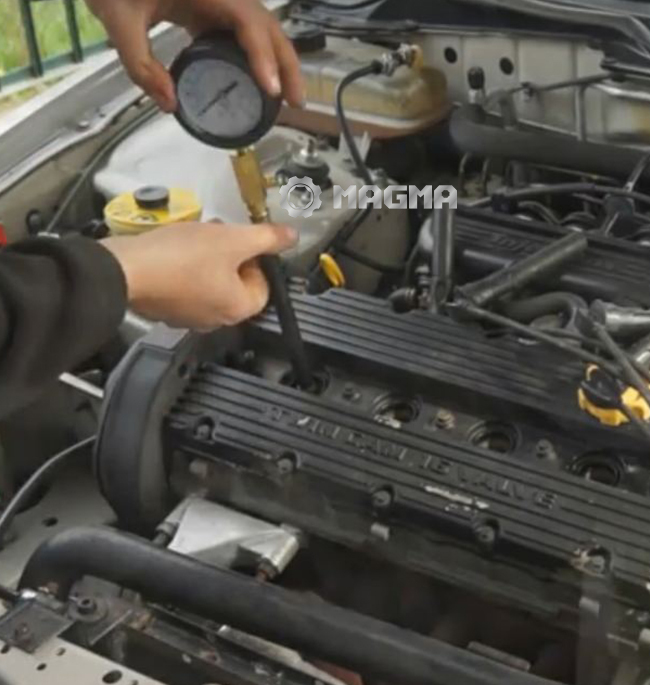 An engine depends on an equal amount of compression in each cylinder to operate smoothly. If poor compression exists in one or more cylinders it can cause a rough idle condition and low power. A compression test can be performed to diagnose the cause of a low cylinder, such as wear or internal damage. 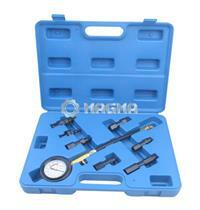 A compression gauge is needed to test the engine cylinders since the pressures are in excess of 100 psi. There are two types of gauge styles, one threads into the spark plug hole which is more accurate. The other style of gauge is constructed with a rubber plug that is designed to be pressed against the spark plug hole, this style of gauge is difficult to use and may not be accurate.